Want to be a DJ but don't know where to start? 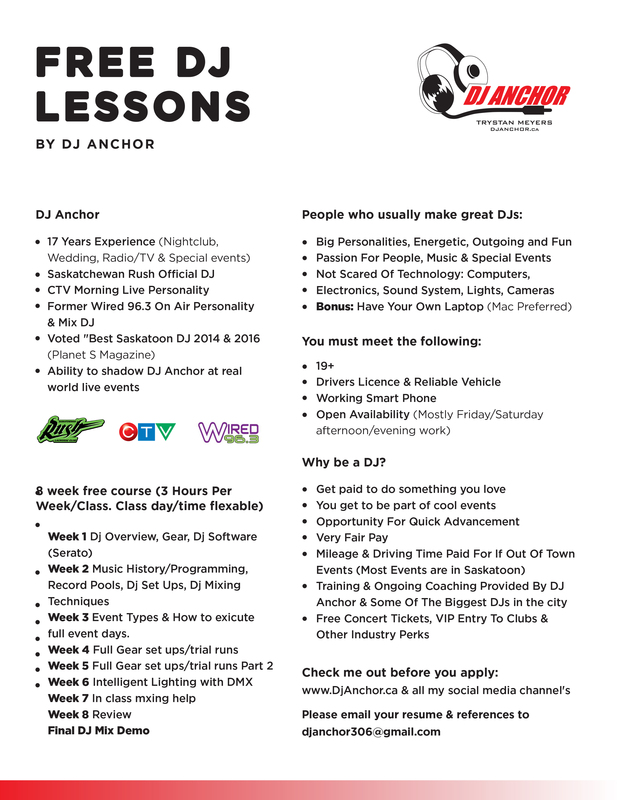 Dj Anchor is offering YOU FREE Dj Lessons and DJ Secrets! Week 3 Event Types & How to exicute full event days. Check Me Out Before You Apply.